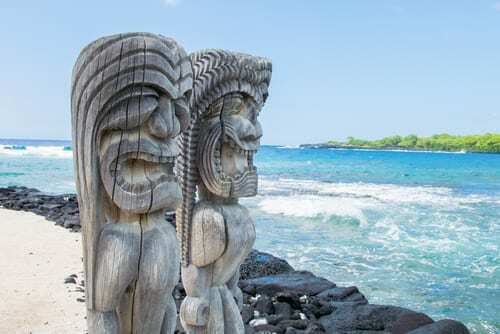 Hawaii is a beautiful tropical vacation destination that is unlike any other in the world. From its beautiful white sandy beaches and its majestic mountains and steep valleys to its city life, there really is something for everyone to enjoy! 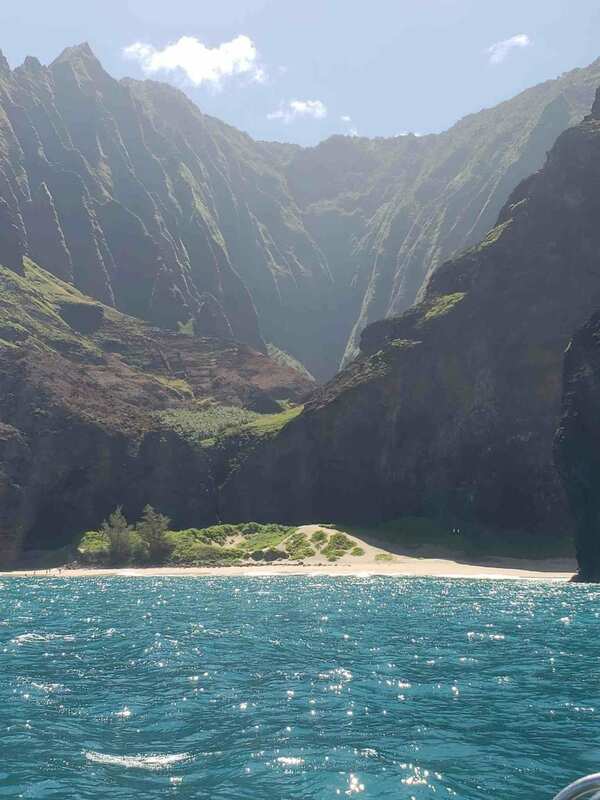 A beautiful view of the spectacular Na Pali coast cliffs on Kauai Island, Hawaii. In order to best see these beauties, book a helicopter tour along the coast! 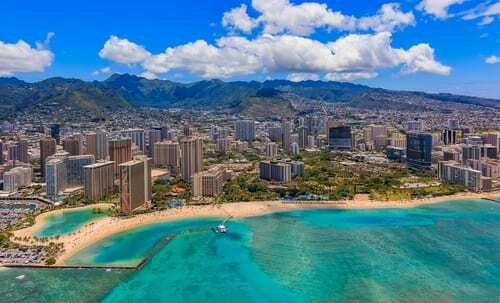 Waikiki Beach and Diamond Head in Honolulu, on Oahu. You can spend a whole afternoon here, or you can spend a week at one of the beachside hotels found here. 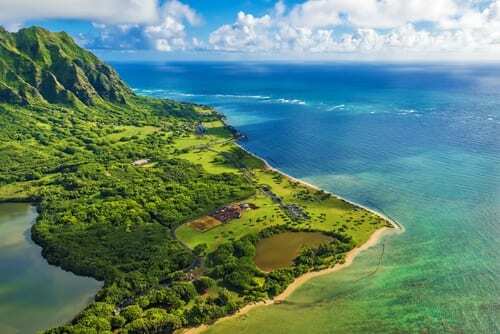 An aerial view of Kualoa Point at Kaneohe Bay, on Oahu. This is another site that is best seen from above, much like the Na Pali Coast. 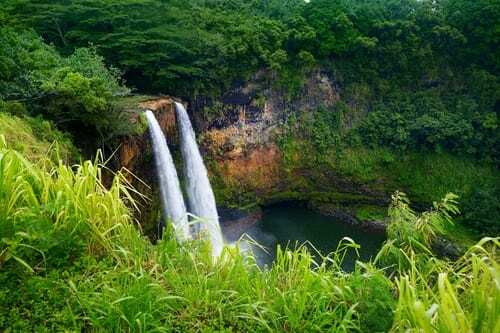 The Majestic Rainbow Falls waterfall in Hilo, Wailuku River State Park. The falls flow over a natural lava cave that is stunning in and of itself. 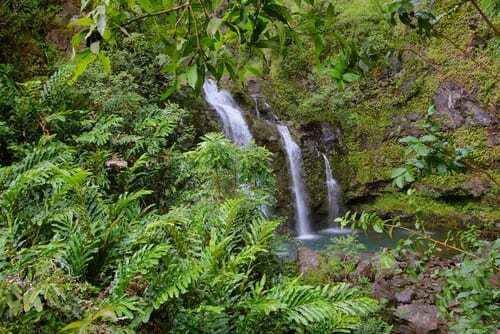 Also noteworthy, the falls are the mythological home to Hina, an ancient Hawaiian goddess. 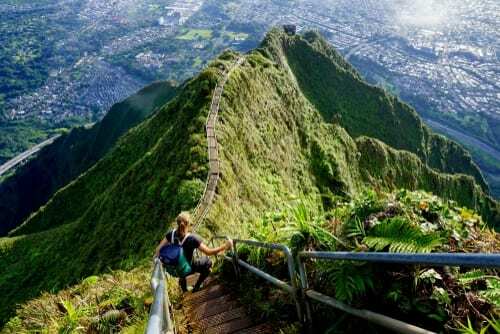 The Haiku Stairs, also known as the “Stairway to Heaven”, on Oahu. 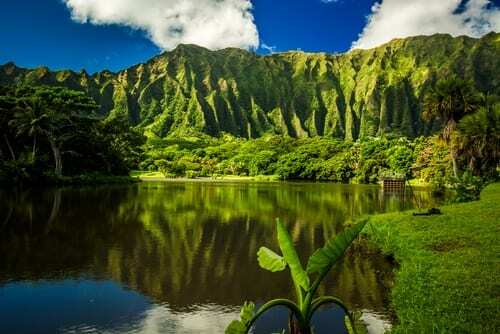 Ho’omaluhia Botanical Garden is a paradise in Kaneohe, on Oahu. The stunning gardens are open to the public 365 days out of the year. 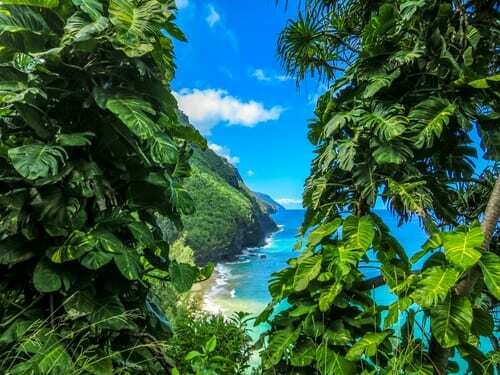 This photo was taken looking through Nature’s Window on Kalalau Trail on Kauai. Ki’i is a statue in Pu’uhonua O Honaunau National Historical Park on the Big Island. 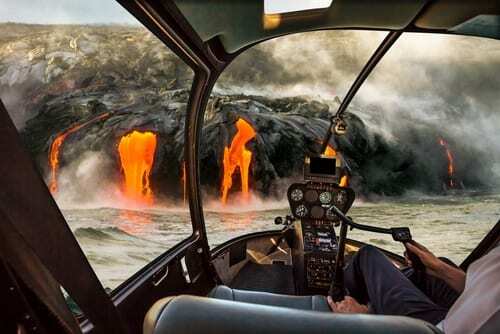 The view from a helicopter cockpit as it flies near Kilauea Volcano on the Big Island. Find Three Bears Falls along the Road to Hana on Maui. 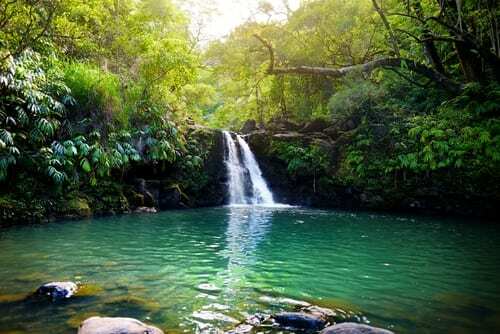 The tropical waterfalls of Lower Waikamoi Falls empties into a small crystal clear pond, inside a dense tropical rainforest off the Road to Hana Highway on Maui. Call us today at 402-281-3022 to book your own Hawaiian adventure!